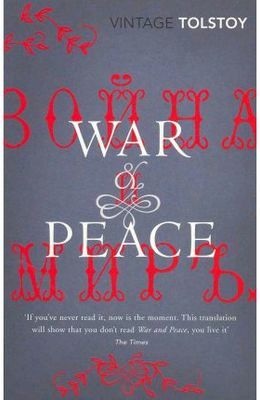 It is difficult to pin down what “War and Peace” exactly is. In large part, it tells the stories of several Russian aristocratic families—the Rostovs, Bolkonskys, the Bezhukovs, and others—with great realism, against the backdrop of the Napoleonic Wars, starting roughly from the time of the Battle of Austerlitz to the defeat of Napoleon by the Russians. Just as his later novel, “Anna Karenina, “War and Peace” embraces everything possible. But beyond masterful depiction of battles and circumstances and fortunes of various aristocratic families, Tolstoy spent an extraordinary amount of space, especially in the later parts of the novel, to ponder the problem with historical narrative. Tolstoy used the novel to criticise how his contemporaries wrote history. In his view, and I paraphrase, history is made not so much by any grand scheme dreamt up by “great leaders” but a series of accidents caused by the action of the unknown heroes of history. His criticism of the so-called Great Man Theory may not be relevant in today historical research (that, I cannot be sure, not being a academic historian myself). Yet his criticism is what stuck to my head most, not just because he was quite repetitive about it in the novel, but because, I believe, human minds want to see cause-and-effect connection. We are unable to accept that things happen by accident, or things happen because of several, dozens, or even hundreds of factors interacting and influencing each other to give rise to a phenomenon. Attributing historical events to the decisions made by a handful of individuals simplifies historical narratives. Great Man Theory may be dead in historical research, but human’s tendency to simplify the world remains alive and well.